Carnation Auto Blog: Lamborghini Aventador Roadster - Distinctly Italian; Sinfully Tempting! Lamborghini Aventador Roadster - Distinctly Italian; Sinfully Tempting! 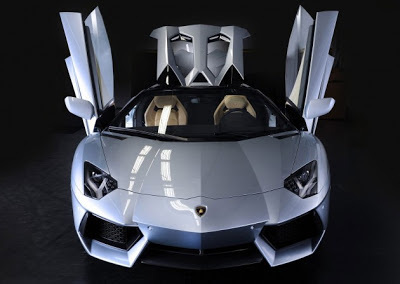 Lamborghini's latest launch, the devastatingly stunning Aventador Roadster has generated a lot of buzz amongst the Super Cars connoisseurs. 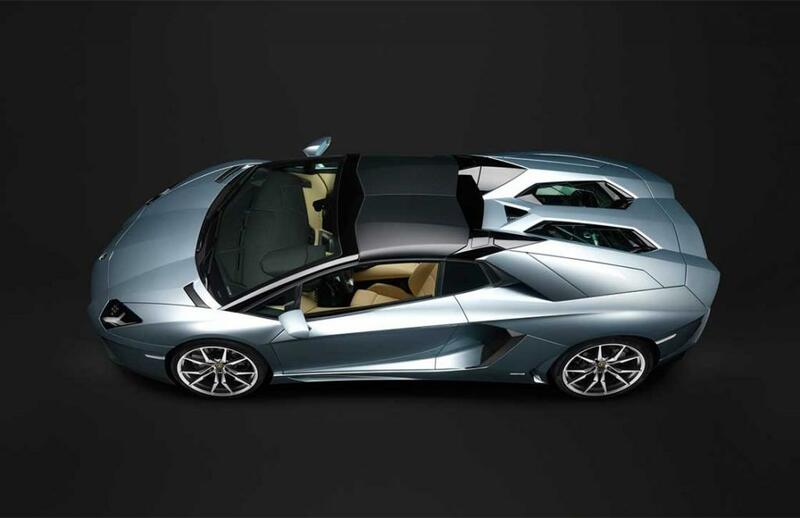 Lamborghini has always been associated with luxury and class coupled with aggressive good looks. 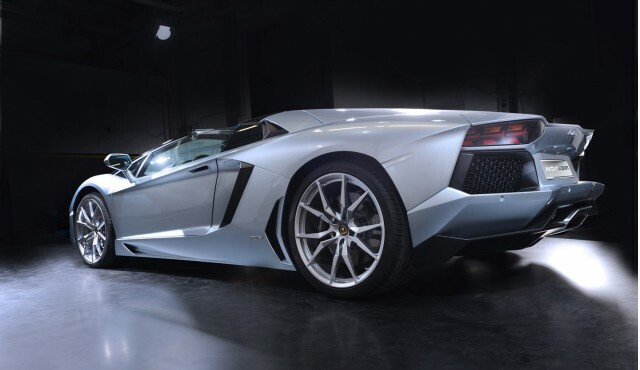 And the new Aventador keeps up the tradition. The car's futuristic design with the trademark Lamborghini shape and eye popping looks gets a different glow with its two tone metallic finish. 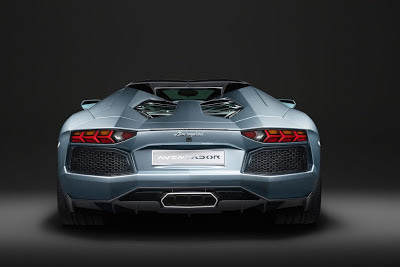 The windshield pillar, the roof and the rear window area, all are painted in gloss black and the rest of the body in a very light metallic blue color, called Azzuro Thetis. Even the interiors have been modified, with the use of a leather called "Sabbia Nefertem," which perfectly compliments the sporty yet classy exterior. Gull wing doors and a changed roof, which is also a primary differentiator from the Aventador, make the new Roadster appealing. Designed as a two piece roof, it weighs only 6 kilos and is made of just carbon fiber. 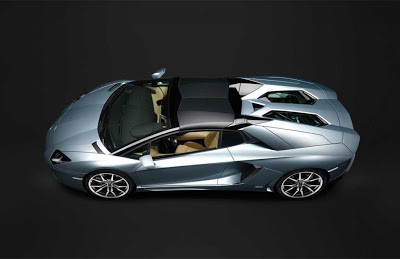 Interestingly, the roof of the Lamborghini Aventador Roadster can be removed manually and stored in the boot, turning the car into a convertible for an exciting drive whenever the mood hits you! The Lamborghini Aventador Roadster has a power-operated rear windshield that has been designed to manage the air flow and sound in the cabin. This translates into a noise-free and vibration-free ride even at high speeds. Apart from the windshield there is a wind deflector too that can be removed and stowed, The wind deflector is an excellent tool as it allows one to choose the level of wind exposure in the car. 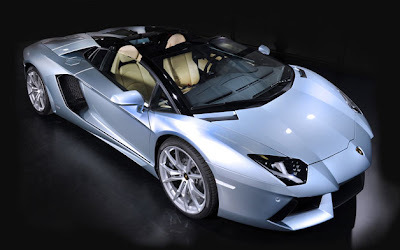 The Aventador Roadster has a 6.5 liter naturally aspirated V12 engine called 'L539' which, with an all-wheel drive layout, produces 700HP at 8,250 rpm. The L539 is mated to a 7-speed gear box. All this and a frame made of Carbon fiber monocoque with an aluminum front and rear frames, makes Aventador an unbeatable beamer. This super car can easily manage a top speed of 350km/hr and can zip to 100 in just 3 seconds! That's a sports car for you...fast, powerful, and capable! This Italian Roadster is not defined just by its speed, it is also environment friendly. Like the coupe, the Roadster too has cylinder deactivation system, which helps to reduce both fuel consumption as well as the level of CO2 emission. With a price tag of Rs 3.69 Cr, ex-showroom, innovative technology, uncompromising performance, and extraordinary good looks, the all new Lamborghini Aventador Roadster is definitely gonna burn the Indian roads!